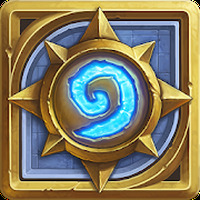 Hearthstone Heroes of Warcraft Android - Free Download Hearthstone Heroes of Warcraft App - Blizzard Entertainment, Inc.
"Immerse yourself in adventure in an exciting card game!" Game Goal: It is a card game in which you must get create the most powerful way to beat your enemies deck, using all sorts of creatures and spells to destroy the power of your opponent. How to play: You must choose the best strategy when selecting your cards when you confront your rivals; you can play against the game or against other users, achieving victories earns coins which you can use to buy better cards. Graphics: Has good quality images, with great attention to detail of the cards and effects, plus very smooth animations. Sound: Sound is good quality, with lots of audio effects and lively music. Languages: English, Spanish, Italian, Portuguese or German among others. 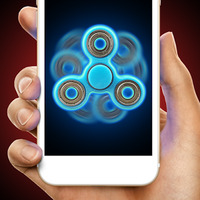 Developer: Blizzard Entertainment, Inc. is based in United States	- Android-Market-trusted developer. Installation requirements: A minimum of 35M of free memory space and Android 4.0 or higher. Ranking: The TOP 10 Most downloaded games in Magic Games category. Fast, addictive and entertaining game. Lots of cards and challenges. Ideal for lovers of strategy games. Do you like Hearthstone Heroes of Warcraft?